I’m changing the format of my book reports. The once-a-month book reports were getting too long and by the time I sit down and write about the books, I’ve forgotten my review already. I’ll be posting the book reports in real time, so that they will be fresh in my mind. I’ll post as soon as I read a couple of books. – This author was recommended to me and this is the first book I’ve read from her. This is a YA novel. 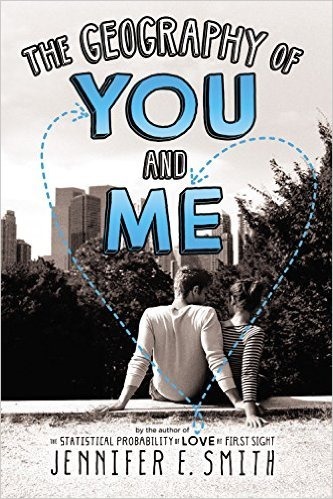 A blackout in New York City brings together two teenagers in this romantic novel. They spend a single night together, wandering the darkened streets and marveling at the rare appearance of stars above Manhattan. But once the power is restored, so is reality. They both move away and their relationship plays out across the globe as they stay in touch through postcards, and emails. The story takes place in different cities/countries, loved how each place was described very well and I can imagine each place very well. It left me with a feeling of wanderlust and I hope to visit the places mentioned in the book. I wished the story continued a little bit more so I can read about the characters after the book ended. I read this while I was on a cruise and it was a light and fun read. I kept chugging along hoping to find out what happens next. I’ll be looking for more books from this author. 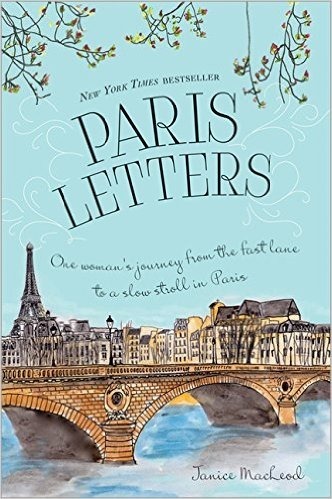 The characters were believable and I loved the idea of old school communication of writing a postcard. Unfulfilled at her job and unsuccessful in her dating life, Janice doodled this question “How much money does it take to change your life?” at her desk. Then she decided to make it a challenge. In a span of a year, with a little math and a lot of determination, she saved up enough to buy two years of freedom in Europe. But she had only been in Paris for a few days when she met a handsome butcher and never went home again. I enjoyed the “find yourself in a foreign country” part of the story in this book. It’s not too serious, lots of helpful tips about saving and also enjoyed the story of romance and realistic take on having a foreign boyfriend in a foreign land. Some parts didn’t feel realistic to me but it was a fun read. I love reading about these kind of journey, about taking a scary leap in making your dreams come true. Stories like these are so motivating, not because I want to do it myself, but because I commend people/characters who are passionate about something and doing things to make that passion happen. What are you currently reading? How’s your summer book list coming along? Ooh fun! I can’t wait to check these books out! Do you have a goodreads account? I’d love to follow along! I don’t have an active account but I should re-activate it, since I’m reading more books this month. I get a lot of my book recommendation on Pinterest and also the blog, Modern Mrs. Darcy. Btw, I checked out your new blog. I love reading about the personal post on health and fitness 🙂 My friend let me borrow your 21day fix workout DVDs last year and I loved that they are only 30 mins long and I can do them right before work. Ha! Yeah, my account is active but I’m rarely on it. I’d like to do more reading eventually though so I keep it open for book ideas and such. I’ve got to check out Modern Mrs. Darcy. What a cute blog name! Ha, thanks! The 21 DF really was convenient for the 30 minute workouts a day. They have an extreme version out now but I don’t know if I’m brave enough to try it yet. Lol.